This is not great news for Bojangles' fans: Almost 70 percent of Bojangles restaurants are in the path of Hurricane Florence. About 69 percent of the company’s 766 restaurants are in North Carolina, South Carolina and Virginia, according to an analysis by Bloomberg Intelligence. Slow-moving Hurricane Florence made landfall early Friday in North Carolina, bringing punishing winds, heavy rain and record flooding as it crawls southwest along the North and South Carolina coast. Bojangles, founded in Charlotte, North Carolina, in 1977 is known for its famous chicken biscuits and their hospitality. In July, Bojangles donated its containers that are normally used to transport fried chicken and all the fixings to an animal shelter that was out of boxes. The restaurant chain recently announced three new stores under construction in North Carolina in Boone, Wadesboro and Charlotte. 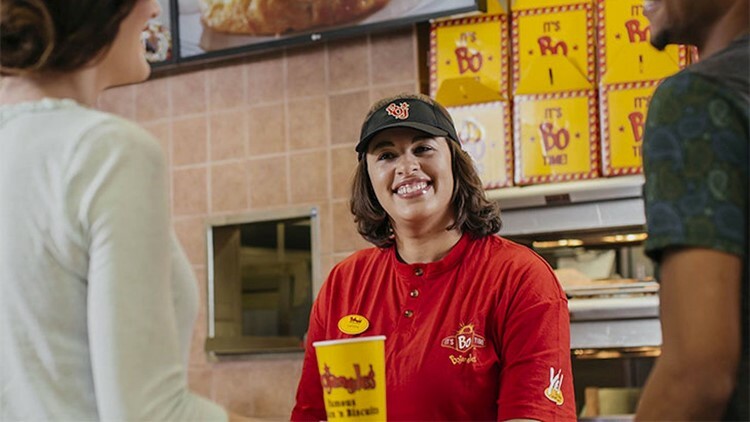 “These restaurants in North Carolina are a great example of what we’ve been saying about how Bojangles’ plans to grow in our core markets, while franchising will continue to lead growth in adjacent markets,” Tony Hopson, Senior Vice President of Operations for Bojangles’ said in a Sept. 6 statement.